I paired colorful Trix cereal, spicy jalapeno, and milk chocolate for the perfect bite. What better holiday is there where you can infuse this much bright color into a dessert? 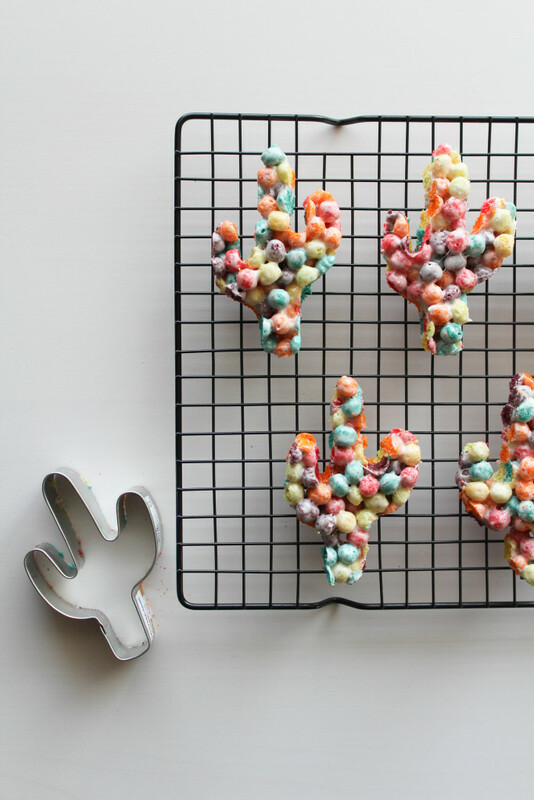 The inside of these spicy cactus cereal treats definitely reminds me of a pinata! 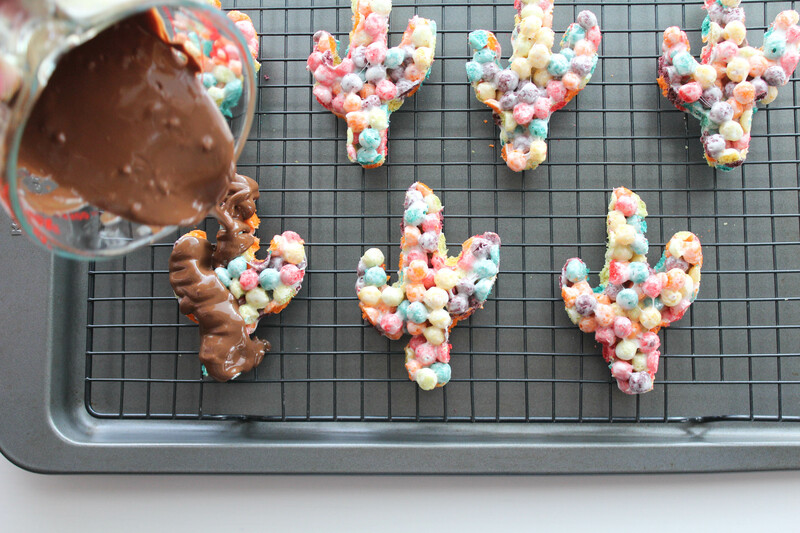 Want to whip up a batch of your own? First up, make those yummy cereal treats. Spray a 13 x 9 x 2 baking pan with non-stick cooking spray. In a large saucepan, melt your butter over low heat. 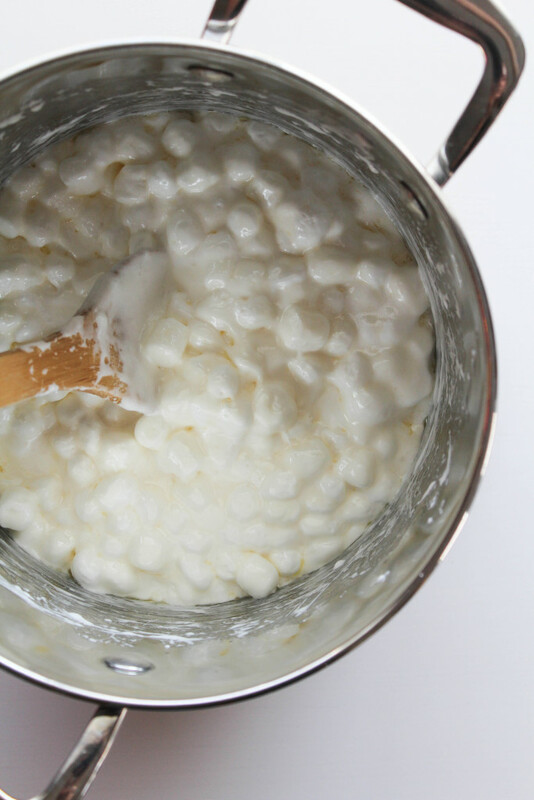 Add your marshmallows and stir until completely melted. Remove from heat. 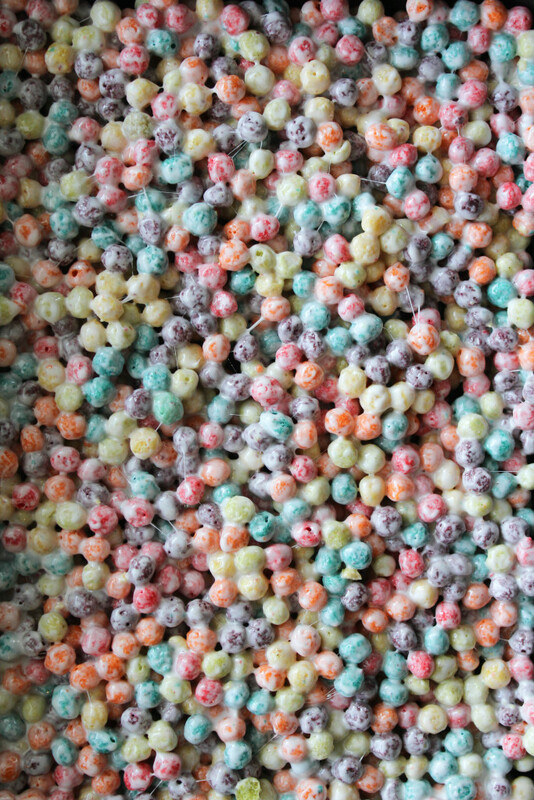 Add your cereal and stir until completely coated. Using a buttered spatula, press the mixture evenly into your pan. I like to use the back of a spoon to smooth out the top, once the mixture is in the pan. Rub the back of your spoon with butter to prevent the sticky stuff from getting stuck all over your spoon! 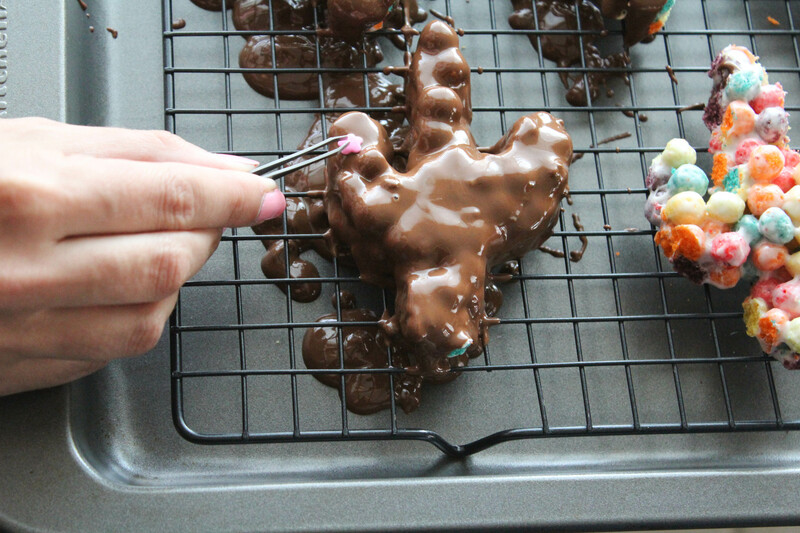 Once cool, using your cactus cookie cutter, cut out cactus shapes and place on wire cooling racks. Place the wire cooling racks on top of a cookie sheet lined with parchment or wax paper. This will help with clean up later! After all shapes are cut out, begin melting your baking chocolate, according to the directions on the packaging. 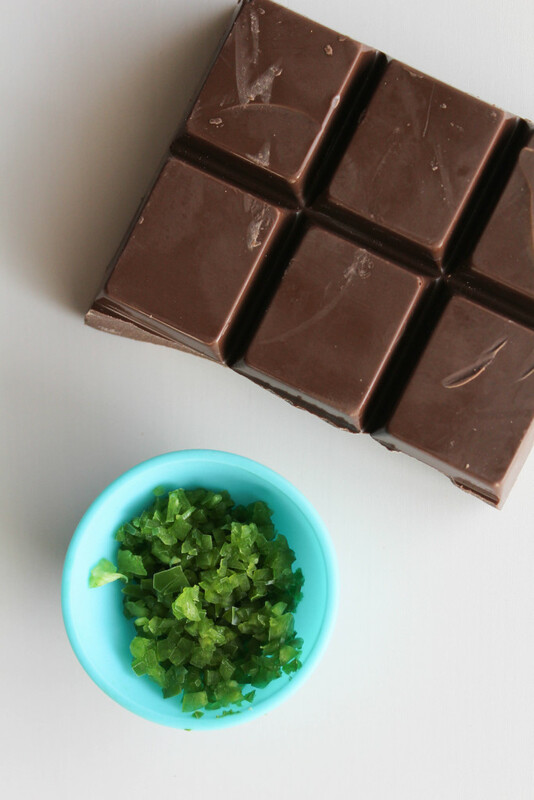 Once melted, add your diced jalapenos to the chocolate. Add more than you think you’ll need for that spicy kick. The chocolate will hide a lot of the heat! Pour the melted chocolate over the cactus treats, allowing the excess chocolate to puddle on the bottom of your cookie sheet. The sides can be a little hard to cover, so make sure you don’t miss those bright edges peeking through! Lightly knock the cookie sheet onto the top of your counter or table to help remove the air bubbles before your chocolate sets. 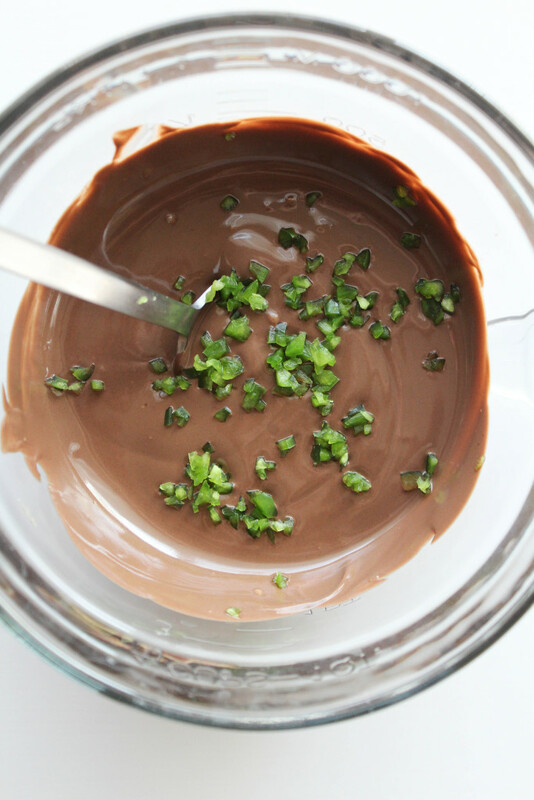 I find when using chocolate to coat desserts, you’ll end up going through more than you think you will, so make enough to cover all of your finished treats. 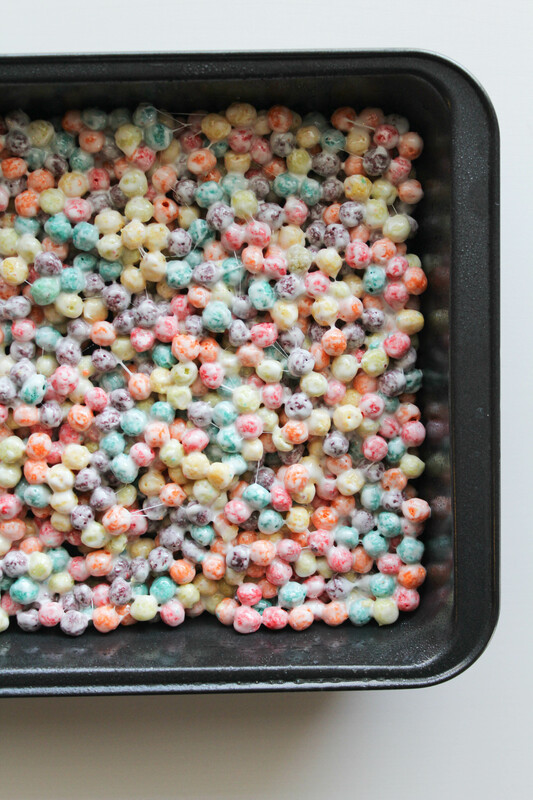 If you don’t have enough, just melt another batch! 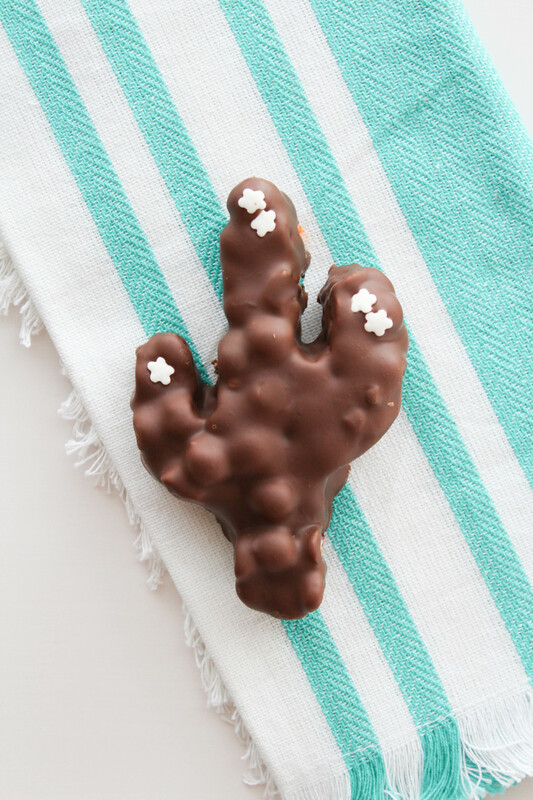 While the chocolate is still warm, place flowers onto the stems of your cactus. I used tweezers to help place mine, but I wish I would have had these sprinkles on hand to use instead. They would have added a bigger impact to the finished dessert! Oh well. Next time! All that’s left to do now, is EAT! These spicy cactus cereal treats are oh, so yummy and honestly…shhhh…don’t tell anyone…but, they are actually even better than their Rice Krispy cousin! 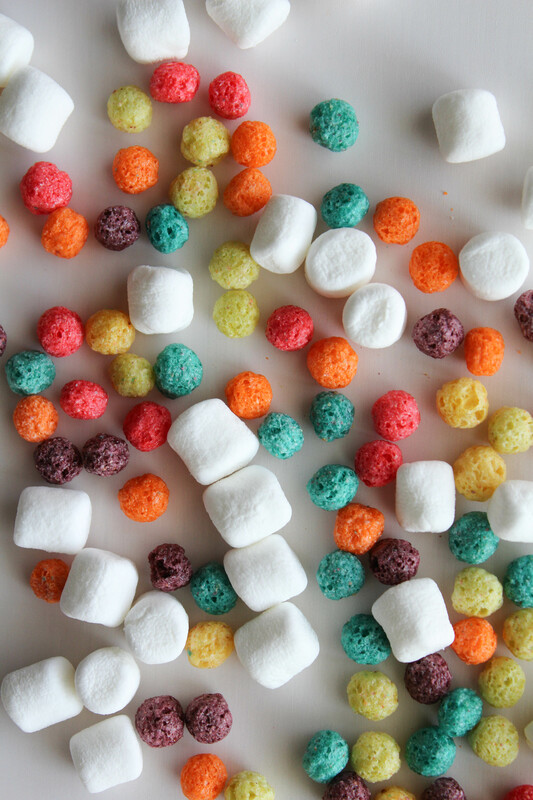 I might have gone to the store to pick up another box of cereal and another bag of marshmallows, just so that I could eat another pan. (I might have shared one or two of them). 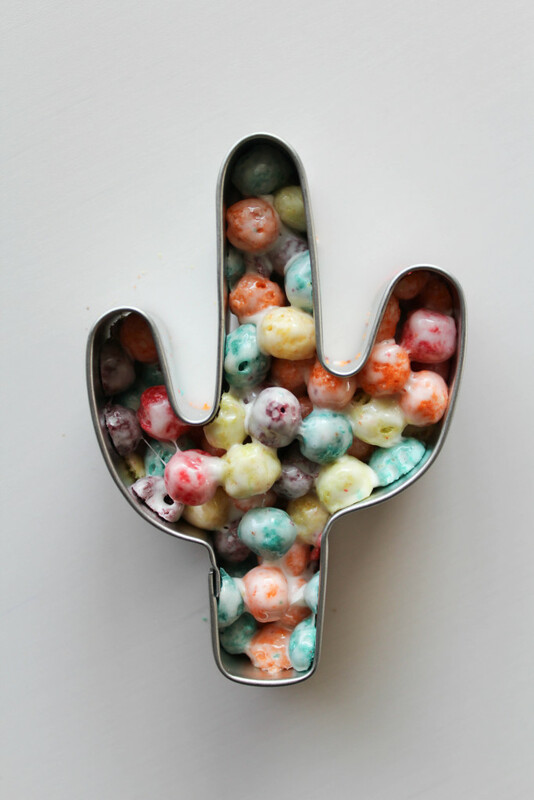 These little cactus treats would be great using green colored candy melts too! 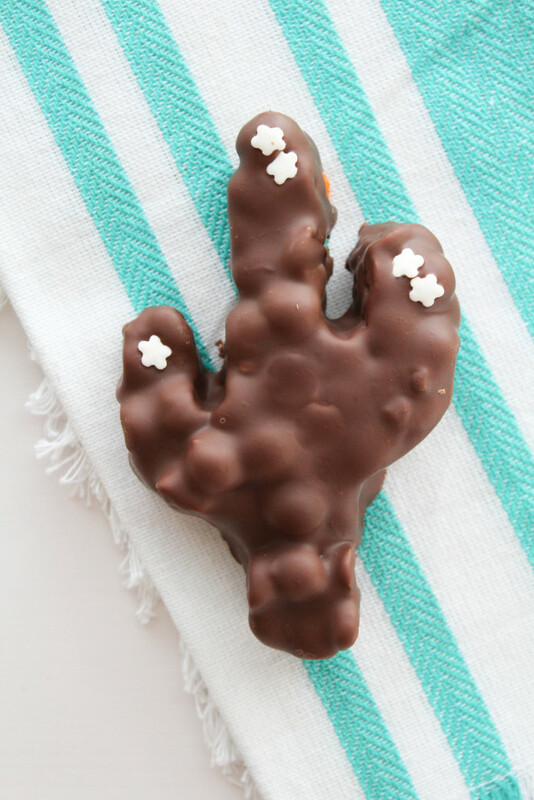 Serve em’ up at your next fiesta or package them individually to give away as favors. Yum!